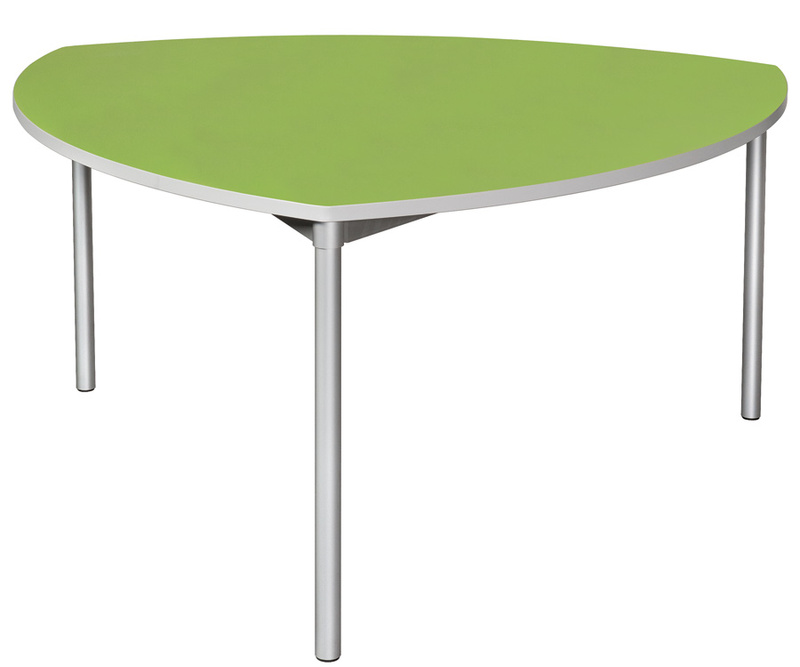 This school dining table is a shield shape with a tabletop size of 1500mm. There are 5 heights to choose from so one to suit all ages. It comes with a choice of edge and tabletop colours. Our Enviro dining tables are 40% lighter than their rivals so are lightweight and easy to move yet have a strong and stable frame. Delivered flatpacked for simple self assembly.